When reading a comic book the writer's job is obviously important. Not only do they supply the speech and narration, but if they aren't illustrating the comic they write the directions to the artist about how the comic should look too. There is a writer who this year had a number of quality titles which I consistently enjoyed enough to think of him as my best writer of 2014. 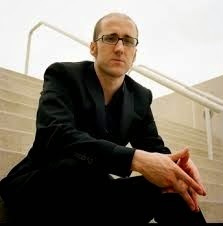 Kieron Gillen is a writer who started out in video-games journalism and then later moved into writing comic books. His absolutely stellar "Young Avengers" came to a wonderful close early this year, and his writing on the title "Uber" has been superb in its portrayal of a world where super-powered beings altered the course of World War II. He also has of course been doing an incredible job on "The Wicked and the Divine" where with Jamie McKelvie illustrating the book (McKelvie also drew "Young Avengers", interestingly) we have been getting a super-enjoyable title, one which I considered to be among my favorite ongoing comics of 2014. One thing about Gillen that makes his writing so delightful is that unlike some other writers who have certain methods or tics which they always seem to fall victim to, Gillen can write anything, in any fashion. You wouldn't realize the man behind the pop-culture influenced "The Wicked and the Divine" was the same person writing the grim-and-gritty "Uber" because even though they are both great titles, their styles are so incredibly different it is shocking to think one mind is behind both. I love Warren Ellis, but you usually know when you're reading an Ellis comic, but with Gillen you don't automatically know it is him besides "knowing" you are reading an excellent title. For that reason of such high quality, I declare that Kieron Gillen was my favorite writer of 2014.